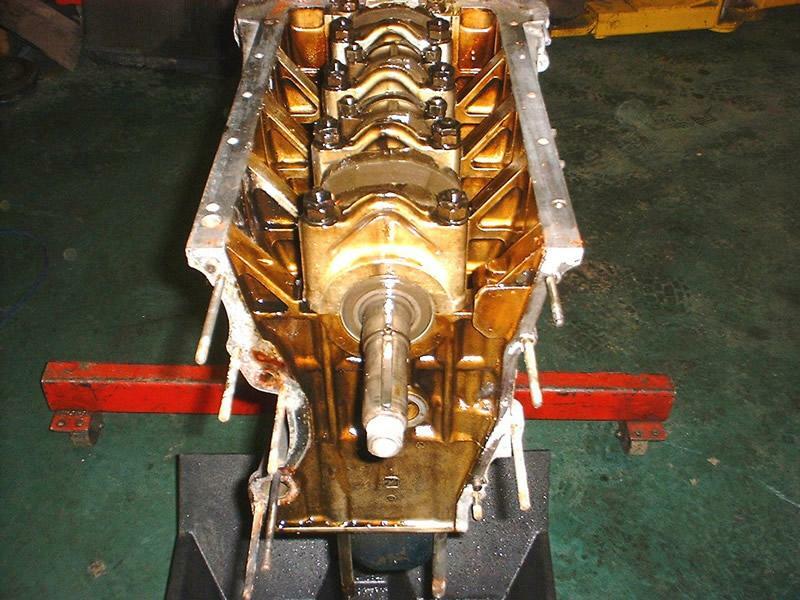 It is best to have the engine mounted on a suitable engine stand, in order to do this you will need to remove the clutch cover, clutch and flywheel. 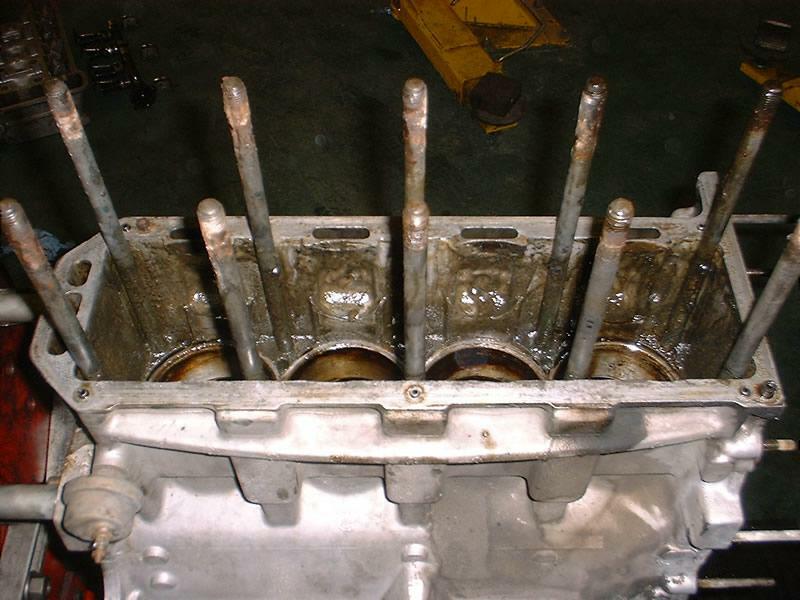 The next job is to remove the rocker cover, this is secured by the 6 fasteners along the top of the engine and two M6 bolts on the front. The camshaft chain tensioner needs to be slackened using the 14mm nut on the front of the head when the chain is loose this needs to be tightened. 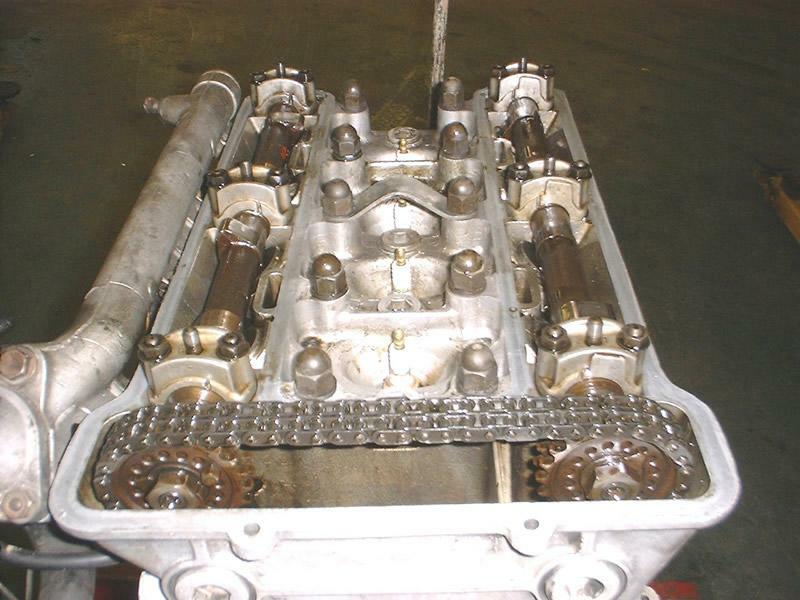 The camshaft drive chain then needs to be removed, there is a split link in the chain which you have to find and undo, noting that the closed end faces the direction of travel. 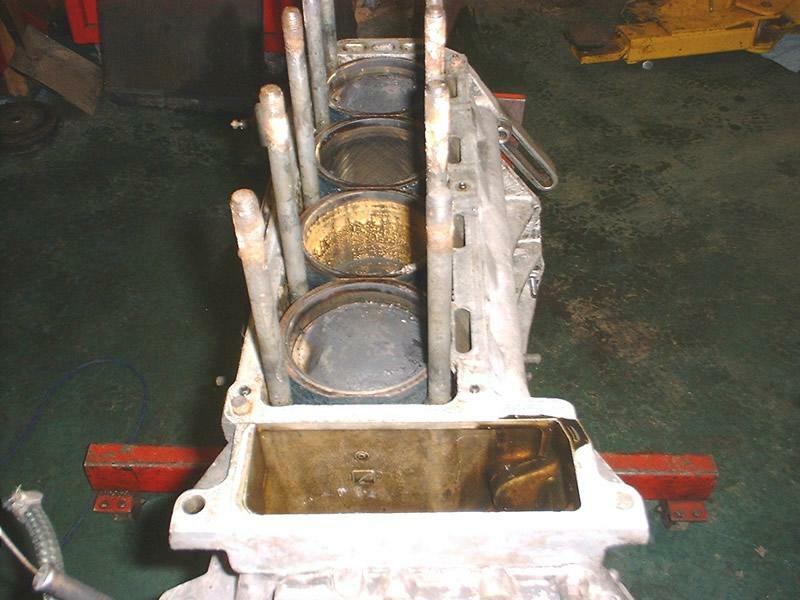 The cylinder head can now be removed, this is secured by the 10, 19mm capped nuts between the camshafts and 2 M8 nuts either side of the camshaft chain chest, these go up into the cylinder head. 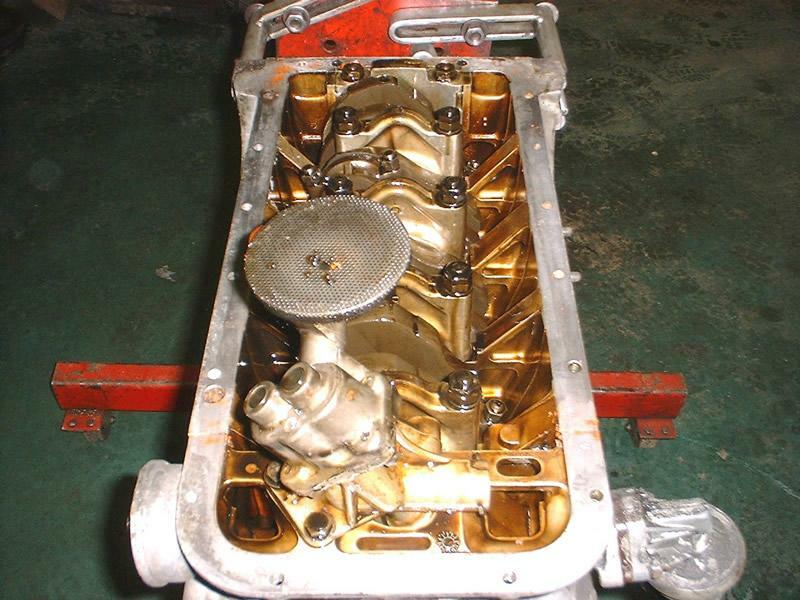 Once the head is off the engine needs to be turned over and the sump needs to be removed, on a Giulia this has to be done in two halves while on an Alfetta it is one part, the fuel pump and drive rod needs to come out before the oil pump can come off the oil pump is secured by the three fasteners along the lower face of the engine and once these are undone it will slide out. The front pulley has to be removed before the timing chain case can then be removed to expose the lower timing chain, the upper and lower gears for this then have to be pulled off the front of the crankshaft.